SINGAPORE - Singapore has Tiger Beer, Axe Brand Universal Oil and even Crocodile underwear to call its own. Now, the Republic can add cars and motorbike to its lists of accolades. Tertiary schools in Singapore have designed, manufactured and even taken part in global car competition. The Singapore Polytechnic team behind SunSPEC4 solar car will be among 46 teams from 25 countries taking part in the biennial World Solar Challenge, a 3,000-km endurance race from Darwin to Adelaide, from Oct 18 to 25. Here are five made-in-Singapore vehicles which have been launched. 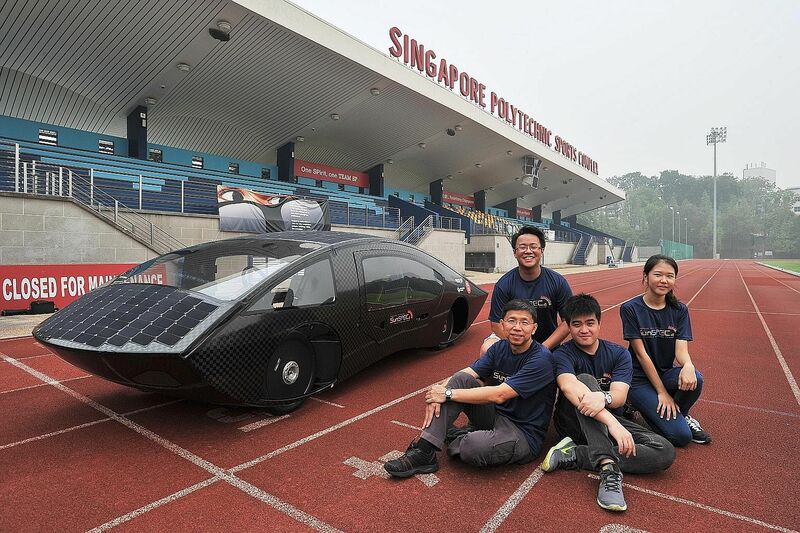 The black 220kg carbon-fibre car lined with solar cells was made by a team of 52 engineering students and lecturers. Named SunSPEC4, the solar car - nicknamed Phoenix by the students - is a remake after the first was destroyed in a fire on Aug 25. Sponsored by Singapore Power, SunSPEC4 is powered by two rear in-wheel motors and can attain a top speed of 90kmh to 100kmh; its 15kW lithium-ion battery pack gives it a range of 500km when fully charged. Its solar panels are extra thin, allowing them to be moulded over curved surfaces. They are 10 per cent more efficient in converting solar energy into electricity than commercial-grade panels. 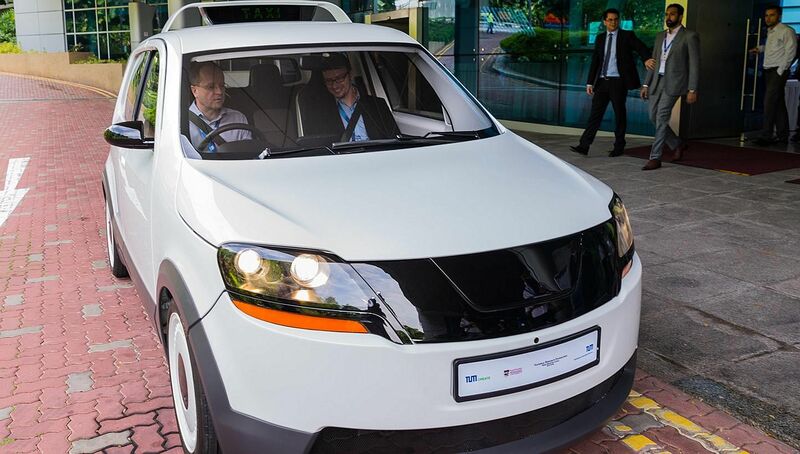 A collaboration between Nanyang Technological University and Germany's Technische Universitat Munchen, the electric taxi has a 200km range and a charging time of just 15 minutes. This is compared to conventional electric vehicles which take six to eight hours to charge and usually cover up to 160km on a full charge. The taxi's specially designed features - such as an overhead air-conditioning system that cools individual seats, and fans in the seats that wick away heat and moisture - also help to reduce the energy needed to keep passengers comfortable in tropical cities. The researchers said they decided to focus on electric taxis as taxis "have a far greater impact on the environment compared with private passenger cars". Made and assembled in Singapore by home-grown company Alife Air Automobiles, A bike scooter comes in 125cc and 150cc variants and in four designs. About 80 per cent of parts are imported from China, Korea and Japan, with the rest sourced from local suppliers. The engine is designed and made in the US. Approved for use by the Land Transport Authority earlier this year, the simply designed and customisable scooters are already on the road. 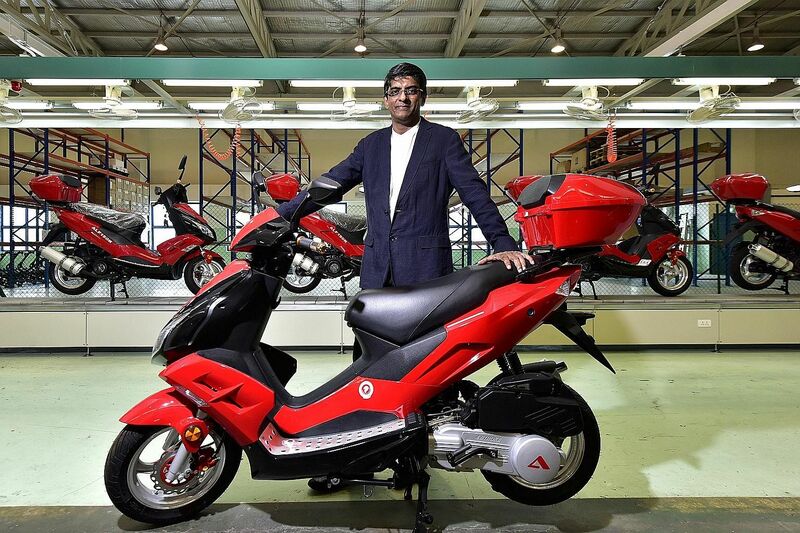 As part of the firm's contribution to SG50, president and group chief executive officer Devan Nair said the A bike will be sold at a "big discount" of $4,988 - excluding the Certificate of Entitlement - to Singaporeans and permanent residents. 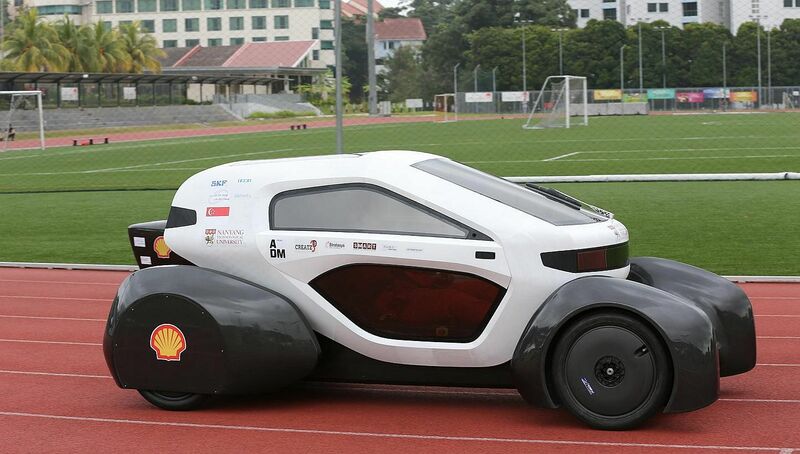 The NTU Venture 8 is Singapore's first urban solar electric car built by the university's students . Mounted on a carbon fibre single shell chassis, the eco-friendly race car participated in the Shell EcoMarathon Asia 2015 as an urban concept solar electric car, with its innovative 3D-printed body shell made up of 150 parts. It had passed the technical inspection but did not place. 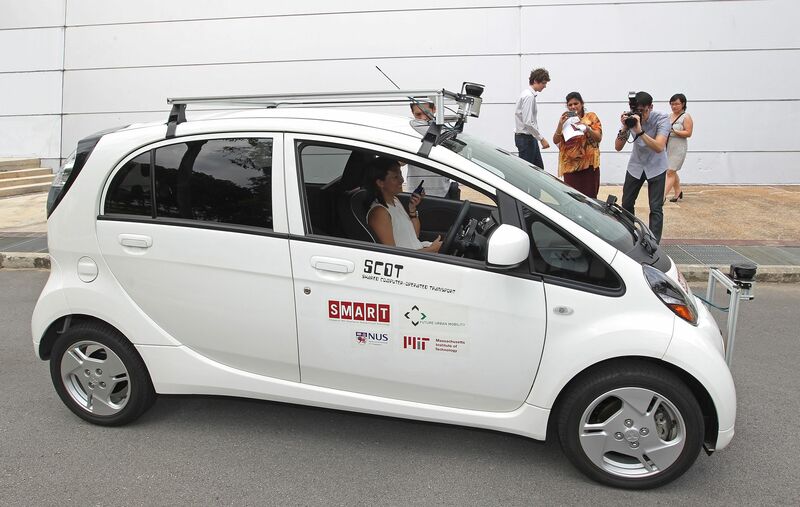 The National University of Singapore, in collaboration with the Singapore-MIT Alliance for Research and Technology, launched its own Singapore-made car in January 2014. Named the Shared Computer Operated Transport (Scot), the vehicle is actually a Mitsubishi i-MiEV electric car which the researchers retrofitted at a cost of $30,000. It seats four and can reach a top speed of 130kmh. It is equipped with laser sensors which have a 30m range to help it avoid obstacles. It also has remote sensing technology that allows the vehicle to navigate without using the Global Positioning System. This is the successor to the driverless golf buggies which will be road-tested later this year. Correction: An earlier version of this story listed NAVIA by Nanyang Technological University as one of the five made-in-Singapore vehicles. We have replaced it with NTU Venture 8, a solar electric car built by the university's students.